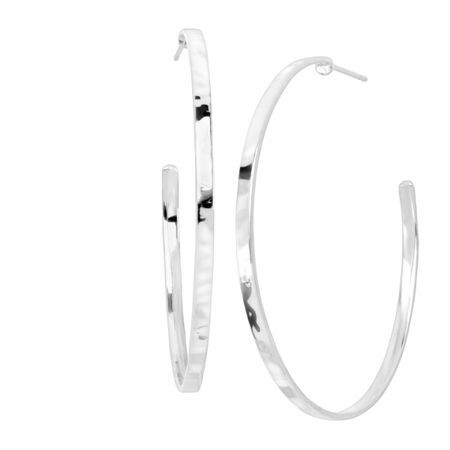 Go for a chic, cool-girl look with these basic hoop Earrings. You'll love how everyday these are, and that you can mix and match them with everything in your closet and jewelry box. Earrings measure 2 by 1/8 inches and feature posts with friction-backs. Pieces come with “.925” sterling silver stamps as symbols of guaranteed product quality.